An exchange program is a formal relationship with an overseas university that allows Evergreen and that institution to exchange students and faculty on a one-for-one basis. Evergreen currently has five “sister schools” that allow for Evergreen to send two students per year for overseas study, and for the sister school to send two students per year to Evergreen. Alternatively, Evergreen might send four students for a single semester or receive more students for a single quarter. Evergreen students pay their home tuition rate to Evergreen and receive a tuition waiver at the overseas school. Students are still responsible for cost-of-living expenses, travel costs and some smaller fees at the sister school. Evergreen students register either with a special Course Record Number created specifically for the designated exchange, or in the case of the Japan programs, through an Individual Learning Contract process. As with all exchange programs, Evergreen students continue to pay their home tuition rate to Evergreen and will receive a tuition waiver at the host university. However, students will be responsible for all other travel and living expenses, as well as certain fees that may be assessed by the host institution. Estimated costs for an academic year on the Xing Wei College Exchange are $9,700, plus Evergreen tuition expenses. As with all exchange programs, Evergreen students continue to pay their home tuition rate to Evergreen and will receive a tuition waiver at the host university. However, students will be responsible for all other travel and living expenses, as well as certain fees that may be assessed by the host institution. Estimated costs for an academic year on the Roskilde University Exchange are $13,370, plus Evergreen tuition expenses. Japan: University of Hyogo Exchange : The exchange program with the University of Hyogo is over 30 years old. Students study from April through March using three Evergreen Individual Learning Contracts to structure their studies. Students typically focus on Japanese language study, cultural studies of all types, and a self-designed research project. Students arrange for an Evergreen faculty sponsor or sponsors over the course of their three contracts, self-designing their goals and activities with faculty guidance. Students utilize credit-bearing and audited course work at Hyogo, such as Japanese courses and more, to give structure to their study. They also conduct their independent project study within the contract. Each of the three contracts is valued at 12-16 credits per Evergreen quarter. As with all exchange programs, Evergreen students continue to pay their home tuition rate to Evergreen and will receive a tuition waiver at the host university. However, students will be responsible for all other travel and living expenses, as well as certain fees that may be assessed by the host institution. Estimated costs for an academic year on the University of Hyogo Exchange are $12,250, plus Evergreen tuition expenses. Japan: University of Miyazaki Exchange : The exchange program with the University of Miyazaki is over 30 years old. Students study from October through August using three Evergreen Individual Learning Contracts to structure their studies. Students typically focus on Japanese language study, cultural studies of all types, and a self-designed research project. Students arrange for an Evergreen faculty sponsor or sponsors over the course of their three contracts, self- designing their goals and activities with faculty guidance. Students utilize credit-bearing and audited course work at Miyazaki, such as the multi-level intensive Japanese program and more, to give structure to their study. They also conduct their independent project study within the contract. Each of the three contracts is valued at 12-16 credits per Evergreen quarter. As with all exchange programs, Evergreen students continue to pay their home tuition rate to Evergreen and will receive a tuition waiver at the host university. However, students will be responsible for all other travel and living expenses, as well as certain fees that may be assessed by the host institution. Estimated costs for an academic year on the University of Miyazaki Exchange are $10,400, plus Evergreen tuition expenses. 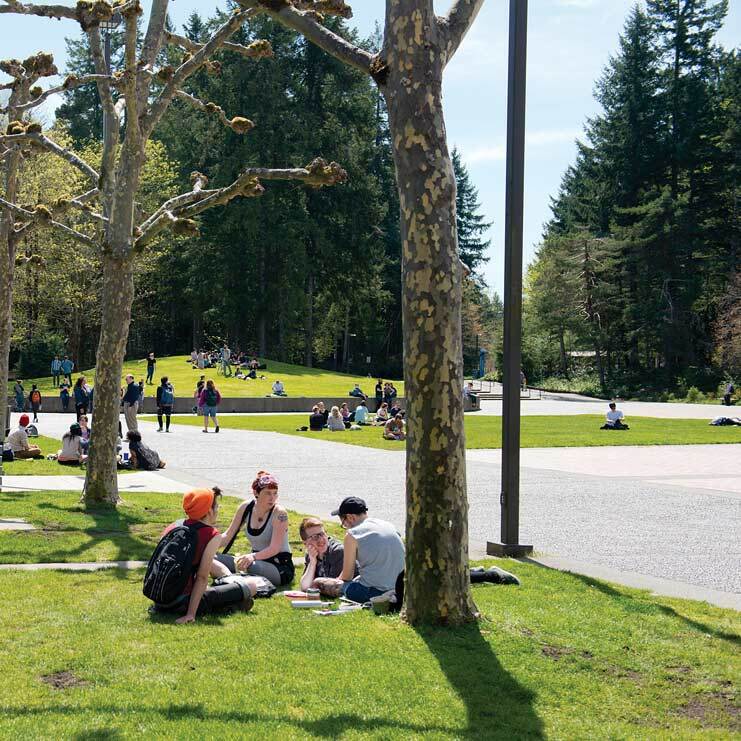 As with all exchange programs, Evergreen students continue to pay their home tuition rate to Evergreen and will receive a tuition waiver at the host university. However, students will be responsible for all other travel and living expenses, as well as certain fees that may be assessed by the host institution. Estimated costs for an academic year on the Daejeon University Exchange are $8,700, plus Evergreen tuition expenses. Destination and duration vary. There is a $100 non-refundable fee for administrative costs. For details on participating programs and institutions, go to http://www.evergreen.edu/studyabroad/exchangeprograms or contact Michael Clifthorne at clifthom@evergreen.edu .